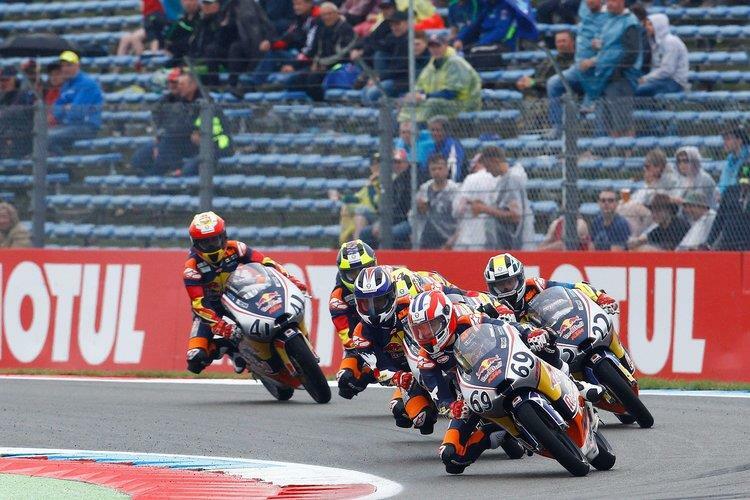 Scottish teenager Rory Skinner has bounced back form disappointment in his first Red Bull Rookies Cup of 2016 to take a podium finish in his second outing of the year at the Dutch TT. Unlucky in his first race of the year after colliding with a falling rider, Skinner was nonetheless able to capitalise on a good grid position to get into the battle for the lead in the second outing of the weekend, running with the top trio for the entire battle in treacherous circumstances at Assen. MotoGP: Jack Miller wins the Dutch TT! Sitting comfortably in the race until the closing stages, he was able to make the most of race leader Walid Soppe sliding off on the last lap to move into the final podium spot behind double race winner Raúl Fernández and Ayumu Sasaki. "I got a good start and was happy to go with the other two. I made a couple of mistakes and was finding it hard to stay with them but then the others caught up and we all bunched up together again. I'd been missing out coming out of the chicane, a bit too cautious early on but I got better by the end of the race and the last few laps were great fun." 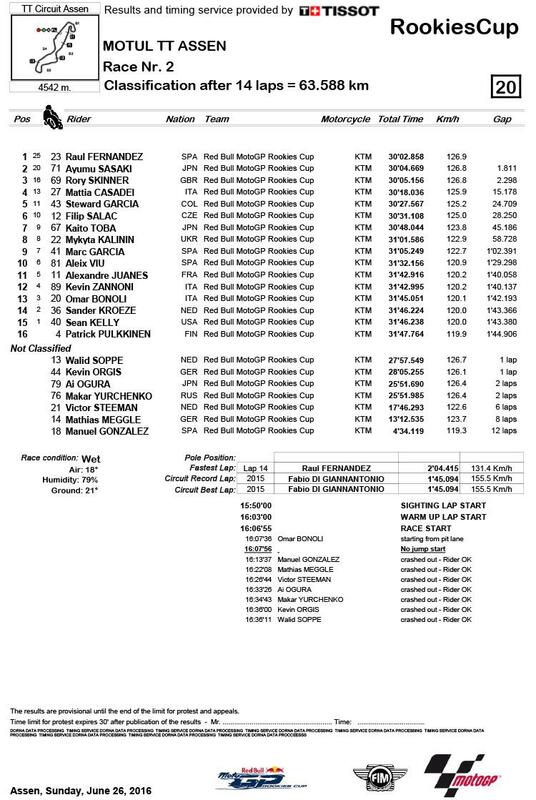 The podium means Skinner now gets his first points of the season on the board after missing the opening round at Jerez, leaving him fifteenth in the 24-rider field. The one-makes series returns at Saschenring in three weeks time, but Skinner will be busy in the meantime as he heads to Spain’s Albacete this weekend to ride in the Junior World Championship Moto3 class.